Lots going on this week. I’m about to join a Renewable Energy startup company, which is pretty exciting. I even had my final interview in the RETROvan which must have impressed them, since their parent company also makes SmartHome systems. In the meantime, I’ve finally addressed my saggy headrest cushion problem. The product Velcro recommended for me, which was supposed to stick to soft vinyls — doesn’t. So, I came up with three potential solutions from items I found at Home Depot. 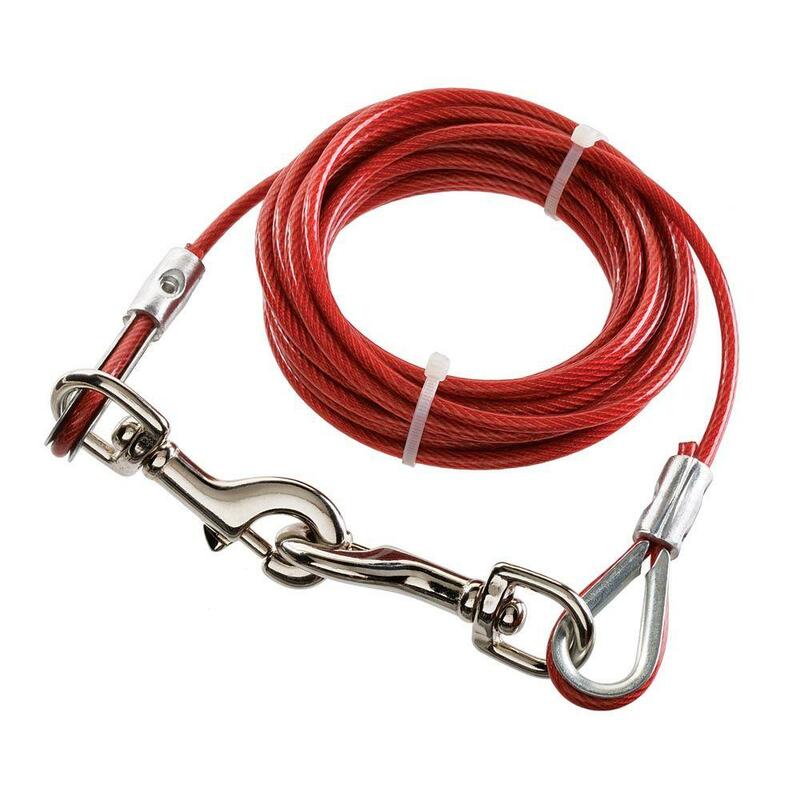 The latter would look the best with the black & white motif, since the cable I found has a red translucent coating and is actually made for dog runs. 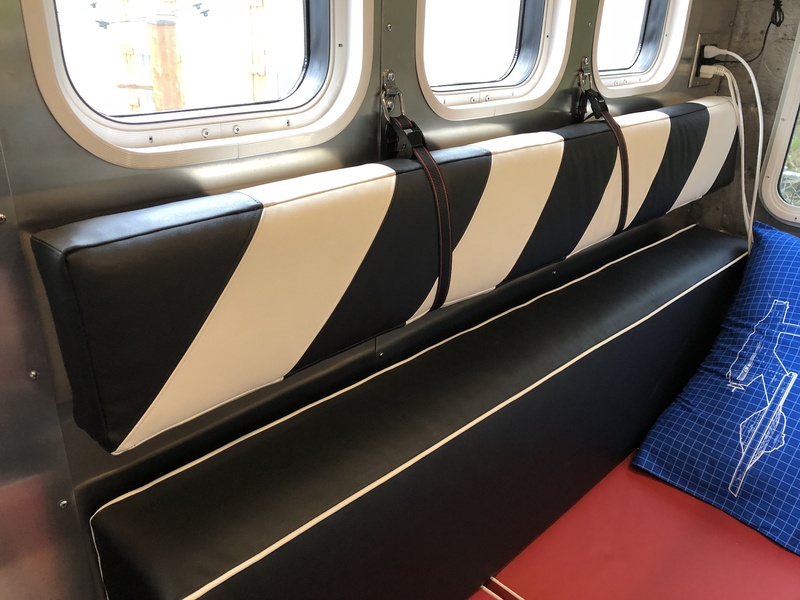 But unfortunately, it’s not flexible enough to nestle the headrests and it would be too difficult to adjust the lengths of the loops to keep the cushions level before crimping them together. The Bungie cords were interesting because they’re pre-made to almost the right length. But because the cord was so thin it dug into the cushions at the bottom and looked bad. So the winner was my first, gut instinct: Lashing straps. The ones I found are made by Husky and they’re black with red stripes. The straps are 1 inch wide so they nestle nicely without being too much of an eyesore. They came in 8-foot lengths but were easy to cut. And most importantly, they support the headrests at just the right height and angle, flush to the wall. And the buckles make them adjustable. Maybe someday I’ll find some transparent straps to swap these out with. I actually did find some, but they were made for bras! The hardest part was removing the failed Velcro from the backs of the cushions without damaging my expensive vinyl. The adhesive left a mess and had to be dissolved with a 3M industrial solvent, but it worked. The photo above shows the starboard side with the Velcro still intact. I removed the Velcro entirely from the port side as an experiment and it’s a little saggy at the ends. So I think the ultimate, final solution is either A) a combination of both solutions: The straps for support and the Velcro for alignment and snugness. Or B) two more straps mounted into the walls panels, versus the internal ribs.